I cannot believe this blog is 4 years old today! It does not seem like that long ago when I thought it would be cool to write about my favorite city. I have had the honor of meeting so many of you, as well as worked with so many fabulous quality companies. This blog is really my labor of love, I enjoy working on it each day, and finding what new places/food/products I can show you! New York City is like no other city in the world. It is pure magic! I hope that you will stick around for 2014, as I feel it is going to be a very big year for NYC, Style and a little Cannoli. I plan to bring you more amazing product reviews, giveaways and trips to NYC to see the landmarks as well as the places you may have not yet heard about. As a Thank You to you, my readers, I have a really fabulous giveaway for you with NEST Fragrances! 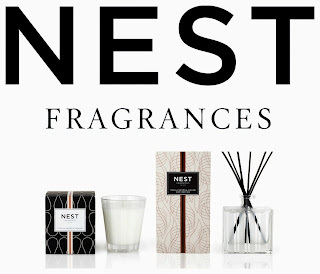 I am such a big fan of the NEST Fragrances line, I am screaming with delight! 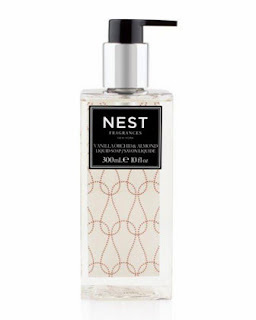 The fact that the company makes such high-end quality fragrances, and those behind the scenes are the nicest people, you feel you need to be their customer. The products are Made in the USA as well which is so important to those who live in America. These products are great for gift giving for the person who has everything, and you never know what to buy them. Details: This giveaway is open to US and Canada Residents and will remain open until January 5th at 11:59 p.m. EST. Any comments left after this time will not be counted. The winner will be selected randomly and will be notified via email and will have 48 hours to claim their prize. Rosemary, Congratulations on your 4th anniversary of NYC, Style and a little Cannoli! Your blog is fun, interesting, unique and beautiful. I'm happy to have met you this year and very excited for your blog success! Like NYC, Style and a little Cannoli on Facebook. I met Laura at an Autistic Fundraiser and Nieman Marcus this past year! She was very gracious and lovely and I adore her candles and scents!! What a great giveaway and congratulations on 4 years!! Thats really worth celebrating! Good for you 4 years of blogging. Happy Blog Anniversary! Congratulations on your 4th Year. Looking forward to 2014! I have friended/followed you on google friend connect, pinterest, twitter, and instagram as Caryn Alper or carbear783. Email = caryn.alper@gmail.com. Thank you!! I'm following you on Google Friend Connect as Elisabeth G.
I “LIKE” NYC, STYLE & A LITTLE CANNOLI ON FACEBOOK! I FOLLOW NYC STYLE AND A LITTLE CANNOLI ON PINTEREST! 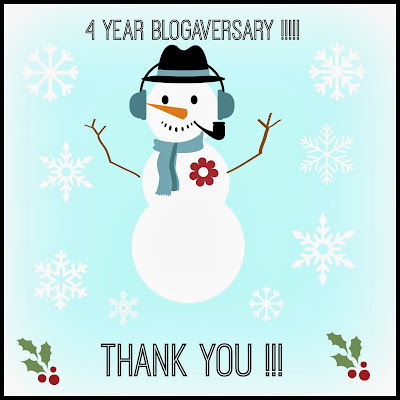 Congrats on your 4 year blog anniversary!! Happy belated 4th Blogaversary Rosemary! You know I'm a huge fan of your site. Congratulations on all the success and here's to many more years.